A new book called Dogfight: How Apple and Google Went to War and Started a Revolution by Fred Vogelstein revealed the mechanism by which Apple influenced the direction of Android — shock and awe. Yes, the introduction of the iPhone changed the direction of smartphones. But I don’t think it’s going to happen again in the wearables market. Here’s why. Former Android chief Andy Rubin (also co-founder and former CEO of both Danger and Android, the company Google bought), said that he was at CES in Las Vegas when the late Apple CEO Steve Jobs announced the iPhone at Macworld 2007 in San Francisco. Rubin was watching the stream live in a car on his way to a meeting. Of course, Apple didn’t invent the general concept of a keyboardless multitouch user interface. In fact, multitouch displays were invented at various universities in the early 1980s. Famously, the LG Prada multitouch smartphone beat iPhone to market. Google itself was already working on a somewhat iPhone-like multitouch smartphone (which also had a keyboard when you slid the touchscreen up) called Dream, in addition to the BlackBerry-like Sooner project, according to one engineer’s account. It appears then, that Apple’s influence was not so much about what Apple did, but how and when the company did it. The iPhone’s minimalism and elegance, as well as the polish and small details of the user interface, provided the “shock and awe” that, although it may not have radically changed the direction of Google’s phone and mobile OS development ideas, at least focused and accelerated it. Later, Apple would influence the industry with its App Store — again, not the broad idea but the polish and elegance of how they did it. As we look back at the history of the smartphone revolution and think about how we got to where we are now, we look forward to the coming wearables revolution and wonder whether it will all go down in the same way. The year 2014 is going to usher in a wearables revolution that most people can barely imagine at this point. The tsunami of announcements will start at CES in Las Vegas on January 7 and the tide will continue rising all year. To the best of my knowledge, the following companies have products, plans or patents for smartwatches, with most of them shipping by the end of 2014: Acer, AGENT, Androidly, Apple, Appscomm, Cookoo, Dell, EmoPulse, FiLIP, Foxconn, GEAK, Google, Goophone, Hot, Hyetis, I’m Watch, Intel, inWatch, Kreyos, LG, Martian, Metawatch, Microsoft, MyKronoz, Neptune, Nissan, Nokia, Omate, Pebble, PHTL, Qualcomm, Rearden Technology, Rock, Samsung, Sonostar, Sony, sWaP, Toshiba, Umeox, Vachen, Xiaomi and ZTE. That’s just watches. 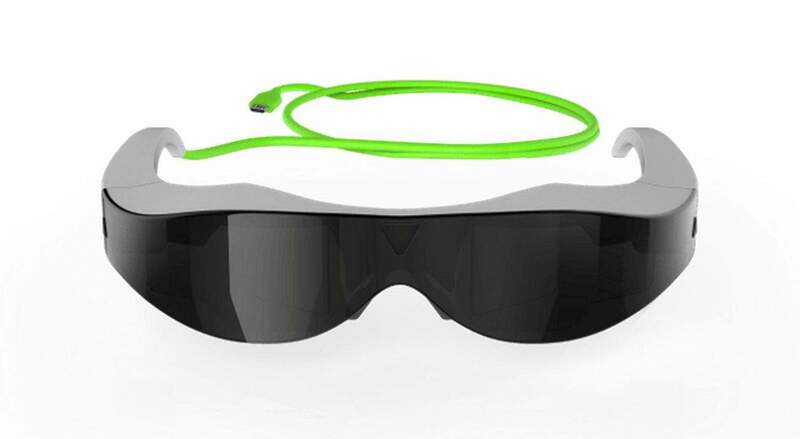 I also believe the following companies have products, plans or patents for smart glasses: Apple, Atheer, Baidu, Epiphany Eyewear, GlassUp, Google, Icis, ION, Lumus, Meta, Microsoft, Oakley, Optinvent, Recon Instruments, Samsung, Sony, Technical Illusions and Vuzix. And don’t even get me started on the other form factors for wearable computing, including clip-ons; devices embedded into hats, shoes and clothing; heads-up displays for goggles, masks and other gear; and more that we can’t even imagine yet. I believe history will not repeat itself with the Apple-Android “dogfight” in the coming wearables market. The reason is that while smartphones started out with all kinds of variety in terms of size, shape, form factor and feature set, then devolved into a shocking sameness, the wearables market will always be characterized by variety in the extreme. I do believe Apple is likely to ship an iWatch, and can’t help but assume that it will have the highest market share. Why will the iWatch succeed? Because: 1) fanboys, 2) Apple’s clear intent to make the iWatch a fashion accessory, 3) women, 4) iPhone integration and 5) marketing. Despite likely market share and revenue success with the iWatch, I don’t believe Apple’s product will influence the industry the way the iPhone did. For starters, and despite its smart glass patents, Apple probably won’t do a Google Glass competitor. It just doesn’t seem mass-market enough or mainstreamy enough for Apple. Second, Apple probably won’t do random form factors, either. A smart watch will probably be Apple’s only entry in the wearables market for the foreseeable future. Third, I expect the smartwatch category to be roughly divided between more powerful but lower-battery-life watches and less powerful but longer-battery-life bracelets. And I’m guessing Apple’s will lean toward the bracelet side of the market. The reason is that Apple can be expected to create a single device for everybody, including women and children with wrists too small to wear big, clunky smartwatches. While a small, elegant iWatch may prove popular, it may not be influential because every company will try to differentiate with wild combinations of form factors and features. The smartwatch category itself may resemble the dumb wristwatch industry, with incredible variety in size, shape and function. Beyond that, I suspect some watches may work together with other devices, such as smart glasses, to create a personal-area network of wearable functionality. For example, a wristwatch may hold the control interface for the smart glasses. The amount people will be willing to pay will vary, too. Looking just at the minority of smart glasses gadgets where the prices have already been announced, the price ranges from the $79 ION Glasses to the $3,000 Meta 1 product. In most cases, wearable computing gadgets will be peripheral devices for smartphones. In others, they will replace smartphones. But with the smartphone providing all the basic capabilities for most of these products — internet connectivity, location, photography, powerful processing and app control — the wearable computing products will be free to specialize or focus on various functions unrelated to the basic features of a smartphone. In other words, while smartphones are forced to do all the basic functions of a smartphone — and thereby end up being very similar to each other — wearable devices will extend this feature or add that feature. They’ll be free to specialize and differentiate in ways that smartphone handsets are not free to do. In any event, history will probably not repeat itself. Unlike the smartphone era, it’s going to be the Wild West in form, function, features and price — and it will likely stay that way for years. That’s a good thing, and one that favors Android developers, small inventors and genius startups able to think way outside the box. In short, the wearables market will be way more fun than the smartphone market. And I, for one, am really looking forward to 2014 and the crazy new world of wearable computing.